There is one additional factor to consider, which is a background track. Track volume in presentations needs to be low of course. One common use for scores in presentations is to frame transitions, setting the mood for the segment to come. With SmartSound’s SonicFire Pro software, this is a snap. 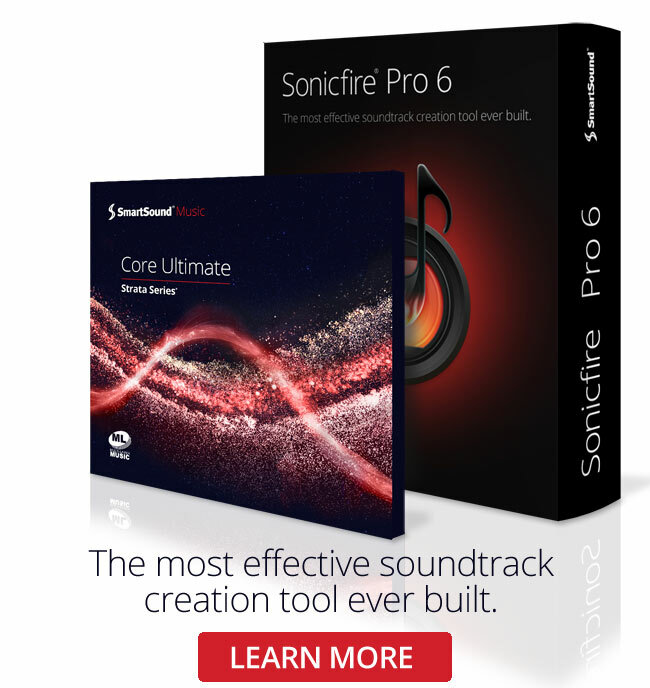 Features such as Timing Control to perfectly synchronize video and music, Mood Mapping to change instrument mix to connect with the audience, and Express Track Search for comparative search choices using patented cutting-edge technology make creating the perfect soundtracks a breeze. Don’t forget SmartSound’s vast collection of royalty-free music, which has a lot of useful tools built in as well.